Chili Peppers 'Trinidad perfume' (Capsicum annuum 'Trinidad perfume'): growing, planting, caring. Cute orange fruits - not 'so' hot as they look. 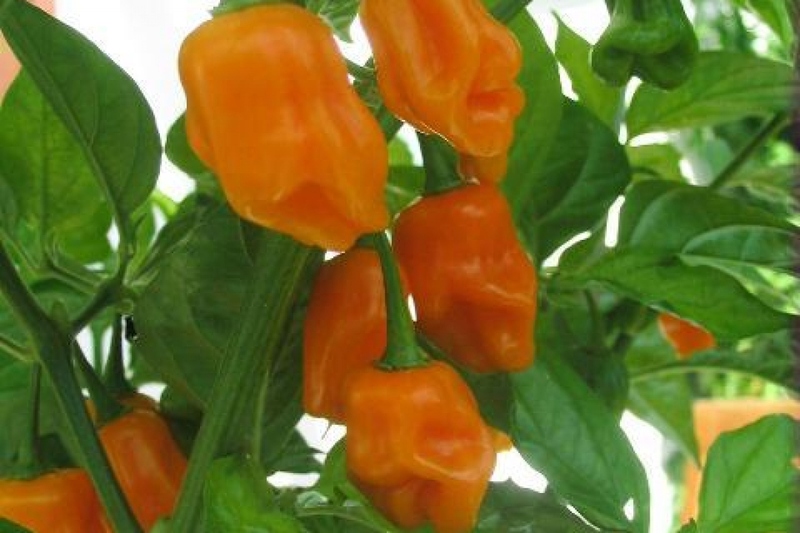 A cultivar of sweet seasoning peppers that look like a traditional habanero, but without the heat - although fruits do reach up to 500 Scoville units. Fruits grow in 80 days to 1-1/2" long and mature from green to golden-orange. Plants are prolific and grow 2ft tall - 70 cm - with a compact habit.